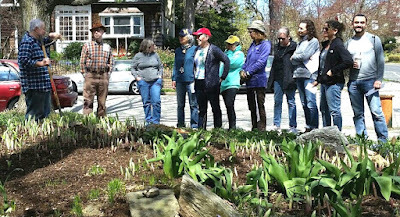 Earth Day, April 22, 2018, was a perfect time to do some digging to help educate gardening beginners by unearthing some plants and rinsing off the soil. 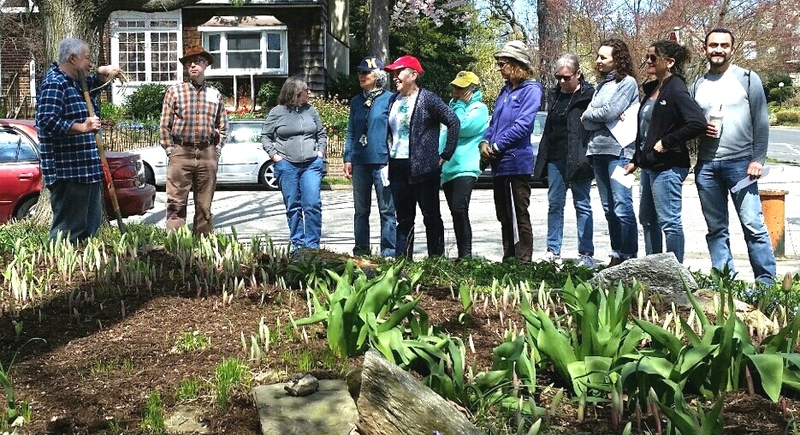 Eric Sternfels led a Weavers Way sponsored Workshop - free to members - to shed some light on the practice of dividing perennial plants. Eric contends that it's less unnerving to slice through a seemingly healthy plant when you understand the underground structures which deliver water and nutrients. In early Spring, most divisions not only survive, but they thrive.